Quartets: One is the new record from cellist and World Soundtrack Awards nominated composer Peter Gregson. 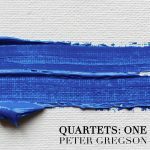 As well as composing for movies (like Alan Rickman's A Little Chaos) and playing on blockbuster scores (like Wonder Woman, Sherlock, and Terminator Genisys) Peter Gregson has been releasing his own albums. Quartets: One charted at #3 in the UK classical charts as well as topping the iTunes classical charts around the world. 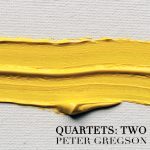 Quartets: Two is the new record from cellist and World Soundtrack Awards nominated composer Peter Gregson. Quartets: Two charted at #2 in the UK iTunes classical chart. Steemsongs.com is a music download store built on the Steem blockchain. Spend your Steem/SBD on great curated music. Read more..
Help us to promote new and exciting music on Steemit by delegating SP to the @steemsongs account. You can contact Steemsongs via e-mail and follow our posts here. Talented dev with Python experience? Get in touch!